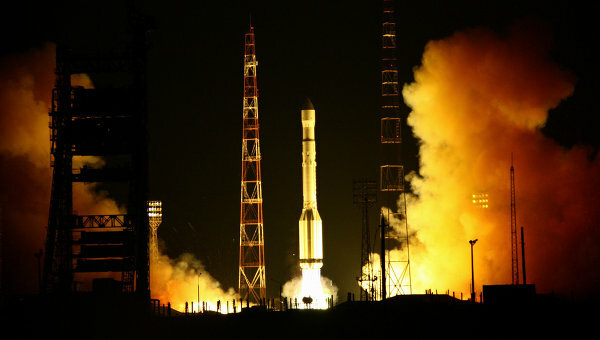 Russia deorbited the Express-AM4 communication satellite on March 25, despite pleas by startup company Polar Broadband Systems Ltd. to allow the wayward satellite to be put to a new use. The satellite reentered Earth’s atmosphere and landed in the Pacific Ocean. Express-AM4 had been stranded in an incorrect orbit since a launch failure in August 2011. Russian Satellite Communications Co. (RSSC) had examined and rejected several options to salvage the satellite before declaring it lost. 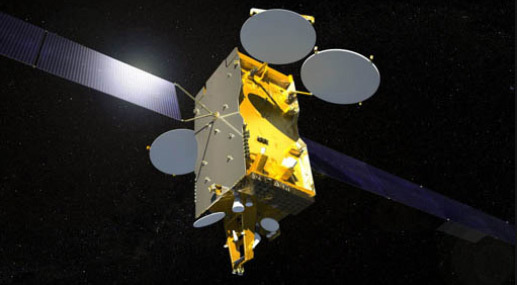 They have already received insurance coverage for the satellite and ordered a replacement from manufacturer EADS Astrium. An upper stage failure on a Proton-M stranded Express-AM4 in a useless orbit (Source: Roscosmos). Polar Broadband submitted an unsolicited proposal to Roscosmos to repurpose the satellite. Their idea was to move Express-AM4 to a 51 degree orbit enabling it to provide communication services to scientists in Antarctica. Roscosmos rejected the idea, asserting that such an orbit would expose the satellite to damaging levels of radiation and pose a collision hazard to satellites in geosynchronous orbit. Officials have also said that the satellite had already potentially been radiation damaged from its seven month sojourn in a geosynchronous transfer orbit with regular passage through the van Allen belts. However, it is possible that the missed opportunity has accomplish something nevertheless. Polar Broadband hopes that they may have paved the way for future repurposing successes: “While we are disappointed in this outcome, we hope that the attention brought by our proposal will cause satellite owners to think more carefully about repurposing assets in the future when similar circumstances arise,” they said. This was not a bad decision by the Russian Federal space agency. Unfortunately, the media has been focusing on what a waste de-orbiting this satellite was and ignoring the fact that there were significant legal considerations to re-purpose the satellite.